CiacciaBanda StreetBand offers an unique and very exciting show, an intringuing and artistic show, that burst of Energy and where public is actively involved. All musicians perform original gags, improvisations, nice choreographies, all combined with their incredibile music. CiacciaBanda StreetBand has a very good versatility, that allow the band to offer a dinamic show that can be personalized depending on every needs or ideas. The StreetBand can also realize special show “ad hoc”, and can compose special original music for every kind of event. 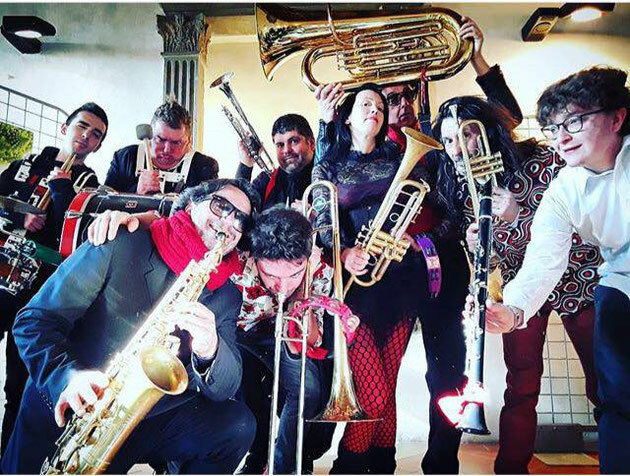 CiacciaBanda StreetBand is specially indicated for those who love brillant and happy music, and need a good and exciting entertainment.